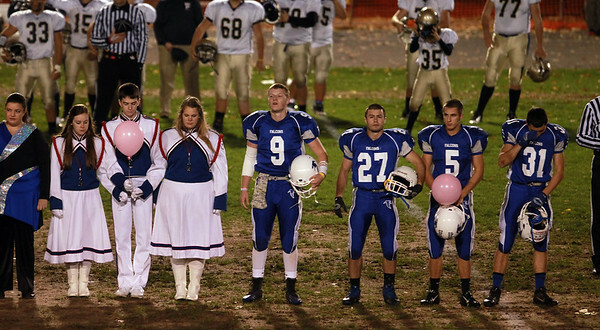 The Danvers football, band, and cheerleading captains hold pink balloons to honor their teacher Colleen Ritzer, who was murdered a year ago by one of her students. DAVID LE/Staff photo. 10/24/14.